Michael Webber is the professor and poet of the water-energy nexus. Here are a few streams of his fascinating consciousness. California’s Central Valley is one of the most productive agricultural regions in the world, producing more than half of the fruits, vegetables and nuts grown in the United States. The farmers there need large quantities of water, and to get that water to their fields they need electricity. The Western Area Power Administration, in partnership with the Duke-American Transmission Company, is developing a new high-voltage transmission line to connect a local pumping and generating plant to the end users – farmers and Central Valley water agencies. An interview with Subhash Paluru, Western Area Power Administration. An interview with George Dawe, Executive Vice President, Duke-American Transmission Company. An interview with Anthea Hansen, General Manager of the Del Puerto Water District. An interview with Frances Mizuno, Assistant Executive Director for the San Luis and Delta-Mendota Water Authority. An interview with Dan Pope, Chief Operating Officer of the Westlands Water District. An interview with Barry Mortimeyer, U.S. Bureau of Reclamation. Ontario has produced a very low-intensity carbon electricity sector at what globally is a very competitive price. 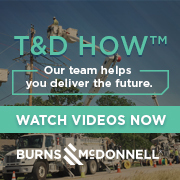 Interviews with Pat Wood, Former FERC and Texas PUC Chair; Kenny Mercado, SVP, CenterPoint; Jim Steffes, EVP, Direct Energy; and Ken Medlock, Senior Director, Center for Energy Studies, Rice University.